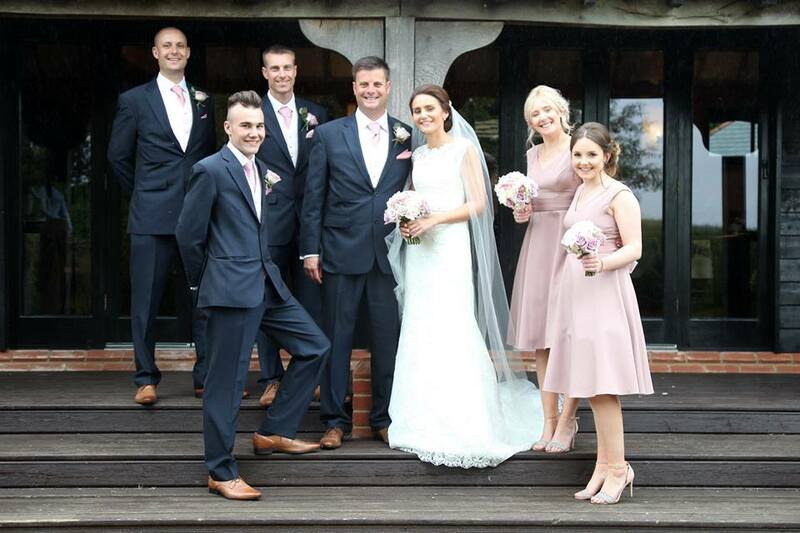 Our second entry is of the lovely Katie Deex, who got married in June 2015 at the Crabbs barn, in Kelvedon. 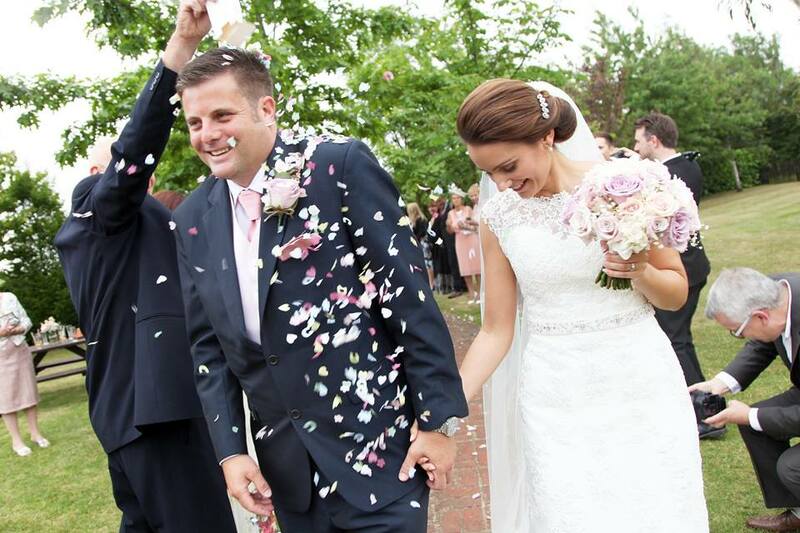 Mrs Deex opted for a gorgeous sheath style, Mori-Lee dress with a low v-cut detail on the back and a bateau neckline. 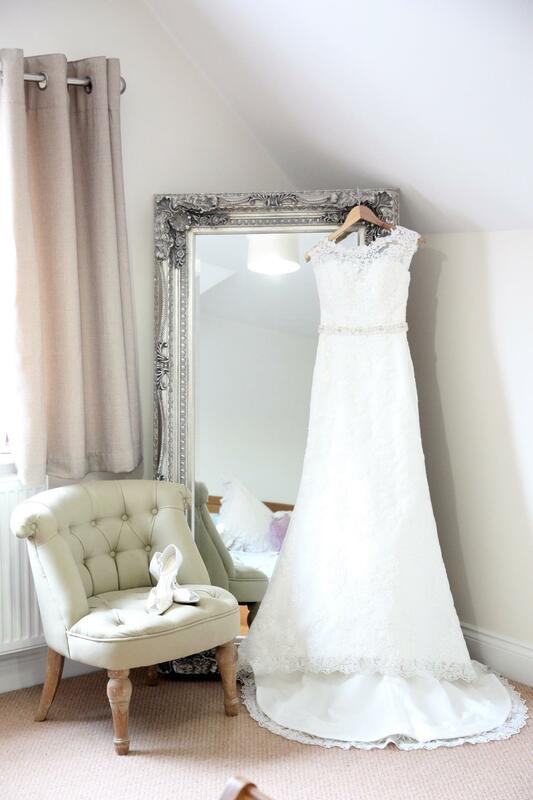 This dress supports a heart shaped bust that is emblazoned by lace, creating a bateau neckline, which follows the curve of the collarbone to the tip of the shoulders. Sheath shaped dresses have a straight skirt with no waist. In this scenario, Mori-Lee has added a bead embellished belt to emphasise the waist and give shape to the straight cut. 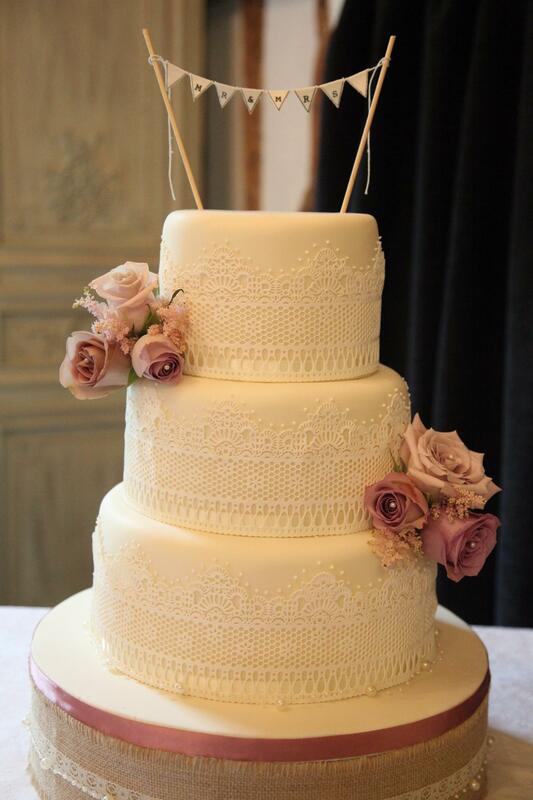 Photos by Nina Carmen Photography Ltd.
You can’t write about real weddings and not include the cake! This elegant cake is like a cake version of the bride. There’s a cute Mr. and Mrs. banner used as a cake topper, followed by lace detail that surrounds the icing. The silk ribbon at the base and the flowers match the bride’s bouquet and bridesmaids, which have a mauve and ivory colour palette.